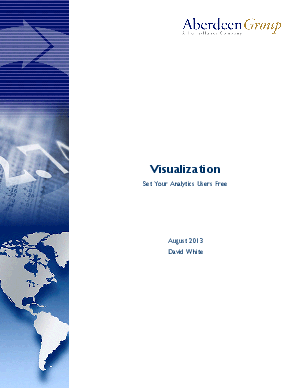 Visual data discovery tools are a relatively new addition to the spectrum of business intelligence solutions. Data collected by the Aberdeen Group in February 2012, found that employees in organizations that used visual data discovery were more likely to find the information they need, when they need it. In addition, these same companies were able to scale their use of scarce IT skills more effectively.